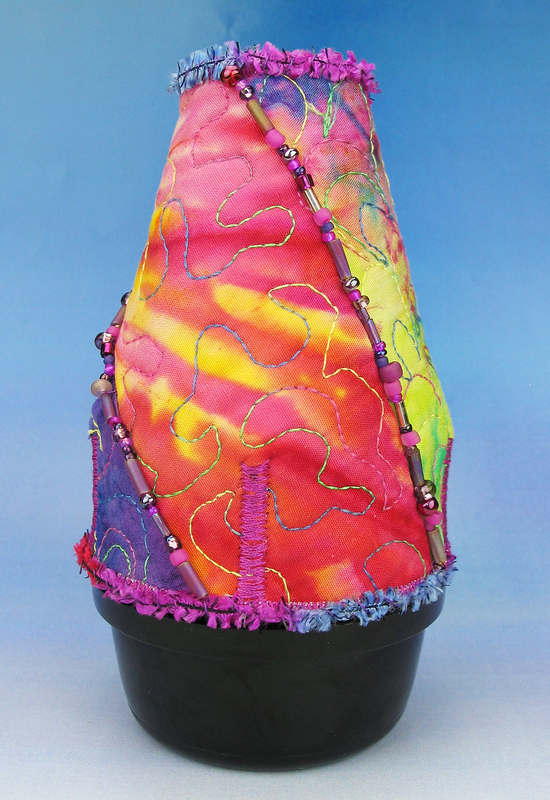 blog – Page 2 – Cheryl Sleboda – Textiles. Technology. Texture. Teacher. Earlier today I reviewed my 2018 goals and whether I achieved them or not. Good news, two of three were met! On top of that, my day planner that I use has a spot to review your accomplishments and I had one that stood out for the year. 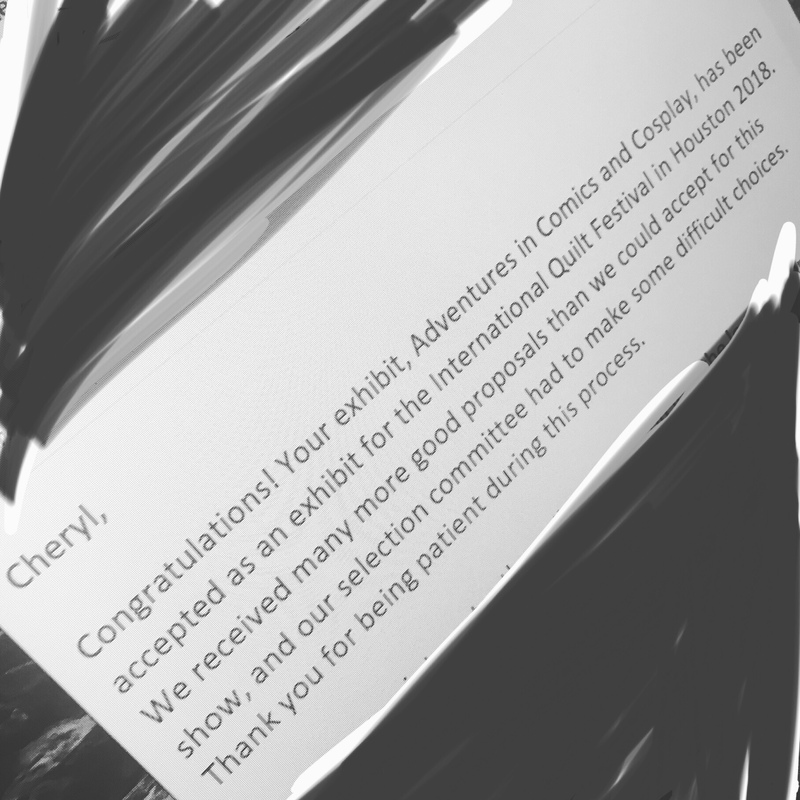 Earlier this year I got news that my proposal for a solo exhibit was accepted by International Quilt Festival for fall 2018. 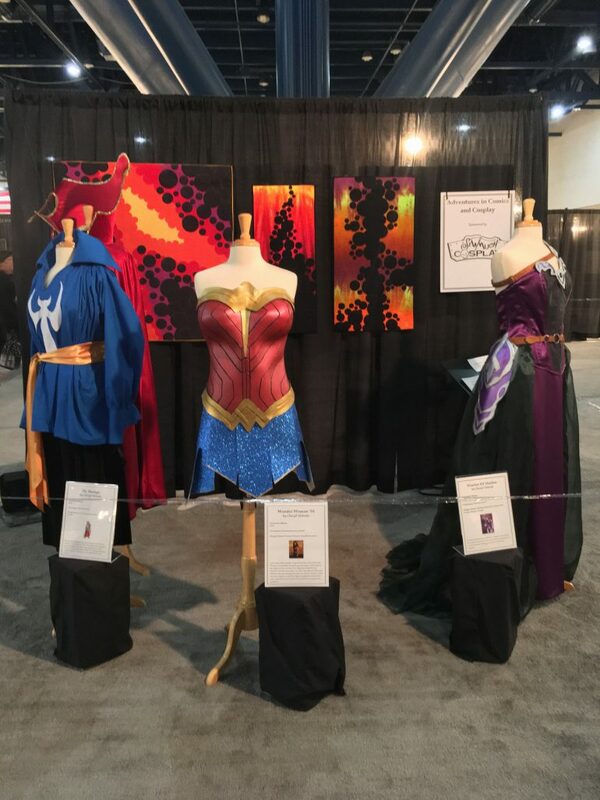 It was to be a combination of my Kirby Krackle quilts and my cosplay costumes that I had made for my Sew Much Cosplay business. 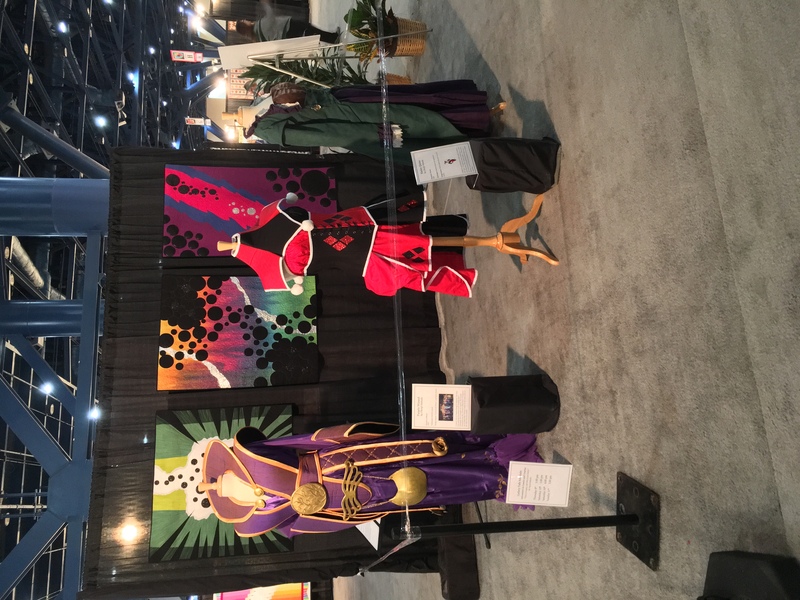 There were 3 quilts and 1 costume that was were to be made new for the exhibit! I had my work cut out for me. The exhibit was amazing. I have never been more proud. I received so many lovely comments about it. I worked hard to showcase both of my businesses and there it was in its physical form. Now this exhibit will be hosted at Road to California next month! Awesome! On to 2019! Day 27 – Best of 2018 Linky Party Post! Jan 01, 2019 Muppin Comments Off on Day 27 – Best of 2018 Linky Party Post! What a roller coaster 2018 has been! 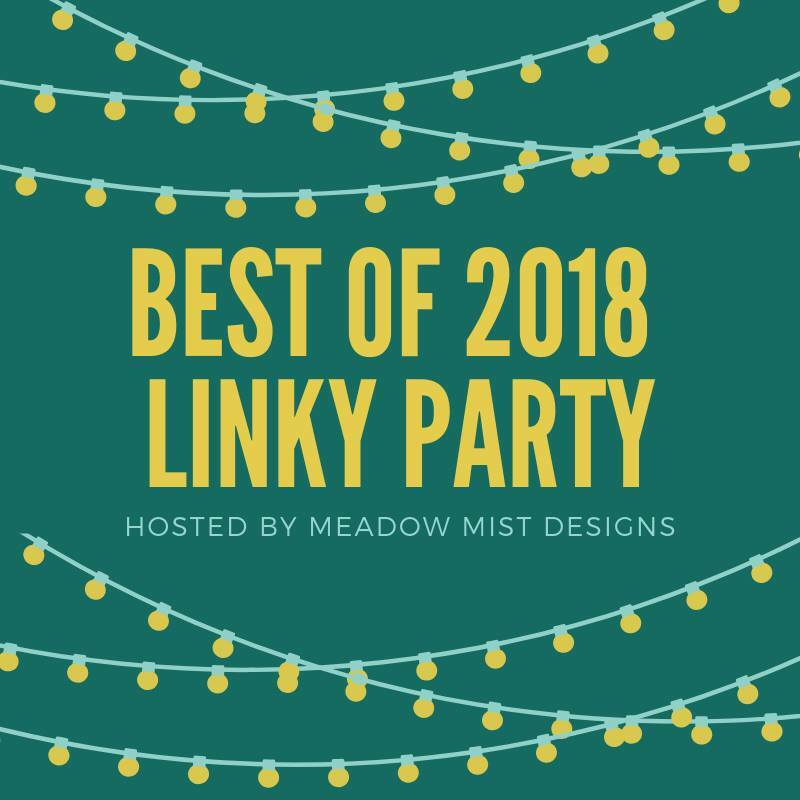 I’m part of Meadow Mist Designs Linky Party of my top 5 posts on my blog of 2018. This was a bit of a challenge to even determine what my top posts were! But I dug through the blog statistics and here they are! Every year for some time, I have been giving people a sneak peek into my business that gives those who are thinking about breaking into entrepreneurship in this industry some insight as to how this all works! This year is no different, and this year’s post comes in at #5. #4. 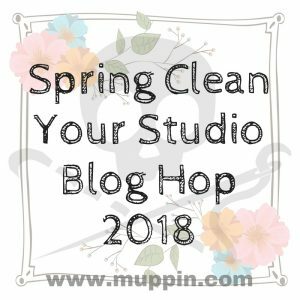 Announcing the Spring Clean Your Studio Blog Hop 2018! Each year, I post up a blog hop of fellow artists and ask them to post a before and after of their studios! This year we continued the tradition, and you can still visit the list of hoppers and go back and see their studios! Ah yes, the very thing we are in the middle of! 31 days, your blog, and a writing challenge! It’s not as easy as it sounds, and it’s a way to get back to blogging and love your blog again. #2. More on Facebook Quilt Scams! One of the few important things I have posted on my blog this year. This update to the online Facebook Quilt Scam thing helped more people report these false ads to Facebook. #1. BEWARE of What You SHARE on FACEBOOK! Quilt Images for Scam Sites. For hits to my website all year, this post has been visited more times than the main page of my website! Hard to believe, but when you post about a scam that affects quilting it’s not hard to see why. It was my intent when writing this post to make sure you knew what you could do to help, and I think that made the post even more popular. So that’s it! The top 5 posts for the year! WOW! It was great to look the stats up and see for myself. What’s interesting is that many of my posts from over the years also came up, so I’ll maybe do that as another post. Years ago, Pokey Bolton, then the editor/owner of Quilting Arts magazine, asked me to appear (again) on the show. Pokey explained to me that there would be three segments taped and one of them should be “home decor”. I said “Really? Me? Home Decor?”, but she was not going to be swayed, and I was off to put on my thinking cap. At the time, cozies and covers for everything imaginable were the rage, especially quilted tissue box cozies. So I looked around my house for something to make into a quilted cover. 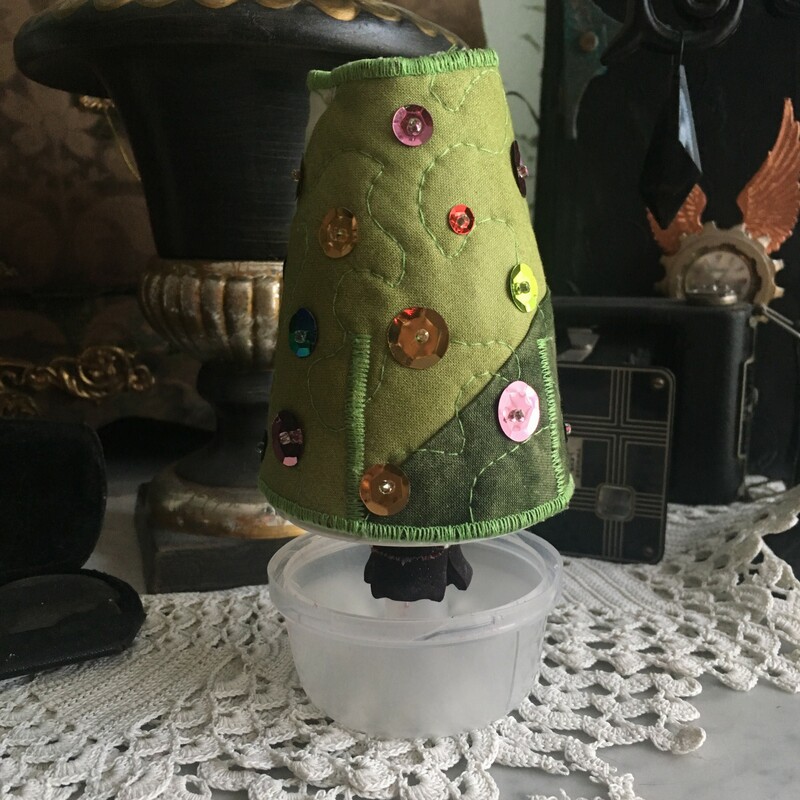 Several weeks before the taping, Pokey and I discussed the projects and it came out that I considered a cozy for an air freshener. Nothing more was really said. I set to making my step outs and samples. Fast forward to the day of the taping and I arrive on set with my dozen or so air freshener cozies. Pokey seemed to have forgotten or misheard my project, because she made the most incredulous looking face as I explained how it was also a way to learn to make darts and shaping the curve for the air freshener. But, this was the project, and it’s too late to change it now! Off we start taping! During the taping I basically have to turn my back to her to sew at a machine while describing why you’d ever want to make an air freshener cozy. We giggled our way through how they’d make a “great gift”, but during the run through we said “nothing says I think your house smells, like the gift of an air freshener cozy”! It was hard not to think this was the silliest thing you’d ever heard of! 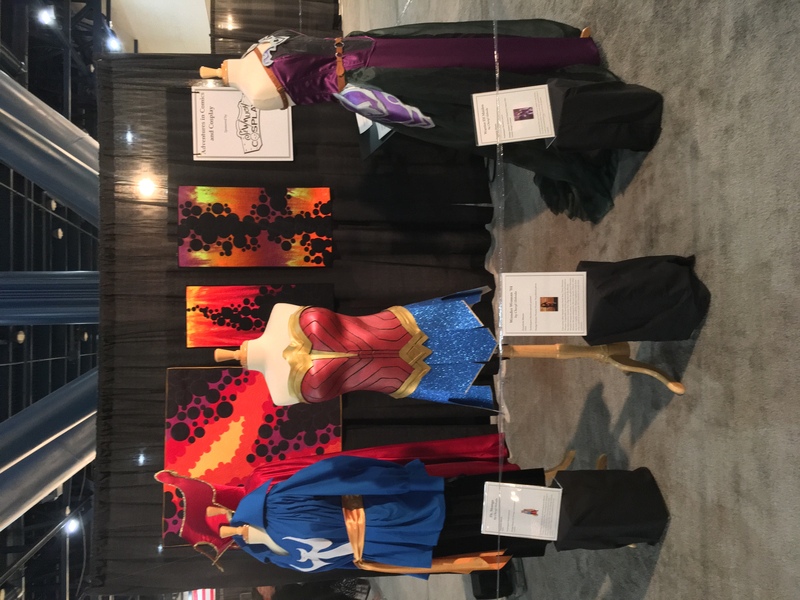 For many years after the free project was available on the Quilting Arts TV webpage but it had a little counter for the number of downloads it received over the years. I’ll give you three guesses as to which project was the LEAST downloaded from the site. Now, those projects are gone. To this day, I have all of the “As seen on TV” cozies all over my house. I even made bunches for the holidays. What do you think of my silly project? Should I offer it for free from my website after all these years? I hope this gave you a good laugh! 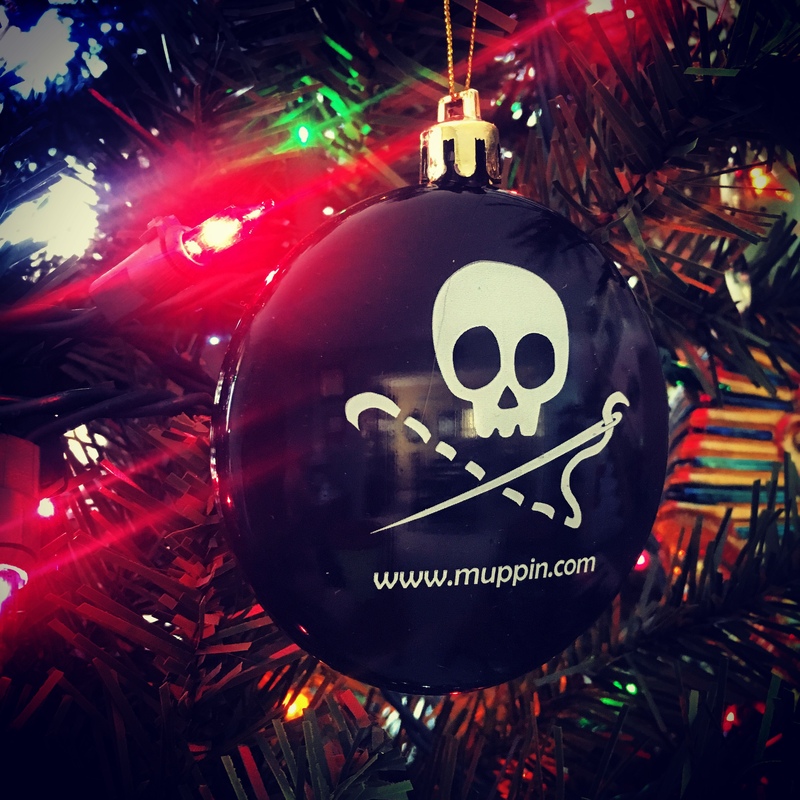 Jan 01, 2019 Muppin Comments Off on Merry Christmas! 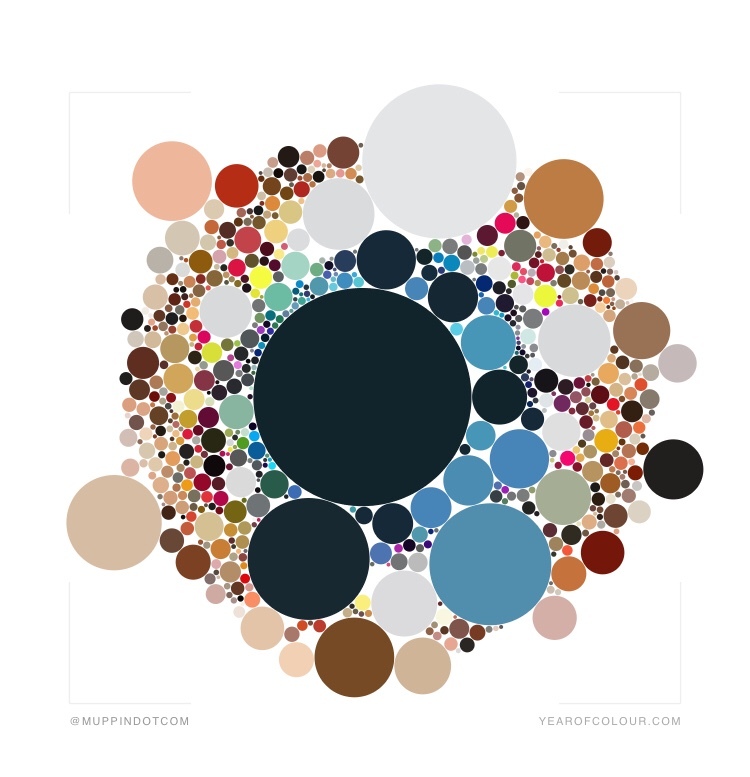 I did one of those tests where it analyzes your Instagram account and pulls out the colors you use the most. It doesn’t surprise me at all to have these dark colors come to the forefront. I made a change on my account several months ago to a darker color scheme for my Instagram account. It’s very curated and is part of my rebranding with my new logo and my pattern covers. You can scroll back and see where it started! Are you on Instagram? Please give me a follow! !